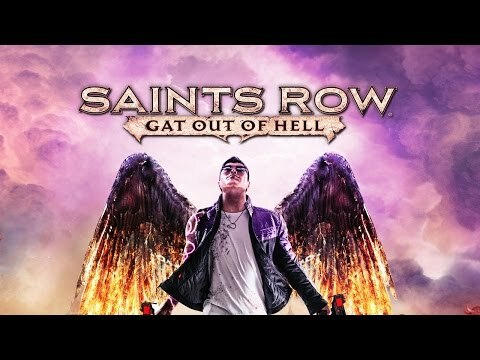 Saints Row IV - Gat Out of Hell - Buy and download the game here! After the space faring antics of Saints Row IV, many fans asked what we could do next… the answer? Shoot The Devil in the face. Play as either Johnny Gat or Kinzie Kensington as you tear apart Hell in a quest to save the leader of the Saints’ soul. Historical icons, old friends, older enemies, a talking gun, a full length musical number, and a whole lot of other shenanigans all await you in the open world standalone expansion playground that is Saints Row: Gat Out Of Hell. Notes: Recommended Graphics Drivers: Nvidia: 352, 355 or 358 series driver / AMD: AMD Catalyst (fglrx) 15.9 or better. MESA drivers and Intel Graphics are not currently supported. © 2014 by Koch Media GmbH, Gewerbegebiet 1, 6604 Höfen, Austria. Deep Silver is a division of Koch Media GmbH. Developed by Deep Silver Volition, LLC. Saints Row, Deep Silver and their respective logos are trademarks of Koch Media. All other trademarks, logos and copyrights are property of their respective owners. All rights reserved.